Leaders are role models; people will follow your example. Divisiveness in the external world is impacting organizational culture. When family members question sharing holidays because they don’t want to hear each other’s differin g views, it is certain similar impacts are happening in the workplace. This creates a clarion call for leaders to proactively build an environment that supports connection over separation. We are discussing this vital topic in our webinar. Now discern how your workforce is doing by reaching out and actively listening. You might create a task force to lead the effort. Ask questions and take notes in order to respond. Talk about what you are learning while using all your smarts – IQ and EQ. if there’s an elephant in the room, expose the discord in a manner that keeps the conversation safe for exploration. That means that above all else everyone is treated with respect. Leaders are responsible for insisting on a safe environment that maintains the value that while disagreements happen, there can also be very solid areas of agreement. You want your staff to be able to move on from the difficult conversation and continue their work together with a willingness to listen and share. Once understanding is gained on workforce connectivity, leaders need to guide the desired change that can expand collaboration over separation. In doing so, success requires understanding the personalities of leaders and staff related to making changes. Data helps guide strategically targeted interventions. The Change Style Indicator® (CSI) identifies three styles of change. Through this assessment people find they are Conservers (prefer to accept the structure and make incremental change), Pragmatists (will explore the structure and support change that is functional), or Originators (comfortable with challenging the structure and preferring expansive change). These are big differences, and it is quite possible all preferences are represented in your workforce. To implement the change successfully people preferring each of the change approaches need to be brought on board. Without doubt, it’s tempting to say “Just do it!” The problem is that quick dictate can’t change internal states that are leading to the divisiveness. A defined viable path needs to be created. The foundation of change is strengthened with mutually agreed values, such as everyone deserves to be respected. Then use flexibility to gain buy-in and changed behavior from the whole staff through process that influence change and show how with emotional intelligence skills. Throughout this process leaders are influencing people to change their behavior. No one can make someone else hold different values or communicate differently. What leaders can do is invite changes, demonstrate the inclusive language, hold staff accountable and use many other strategies to influence success. Once again, data helps. The Influence Style Indicator™ guides leaders and staff to understand the approaches they now use and to recognize how to expand their repertoire of influence strategies. Leaders charged with building rapport and engagement need to select influencing approaches that walk their talk. Two orientations are possible – advocating or uniting. Then having chosen the overall approach the specific styles a leader might employ are rationalizing, asserting, negotiating, inspiring and bridging. It is easy to argue that for a change such as building collaboration through improved communications and patience that inspiring and bridging are the best strategies. However, use caution in narrowing your style. Check out the preferences in the workforce. 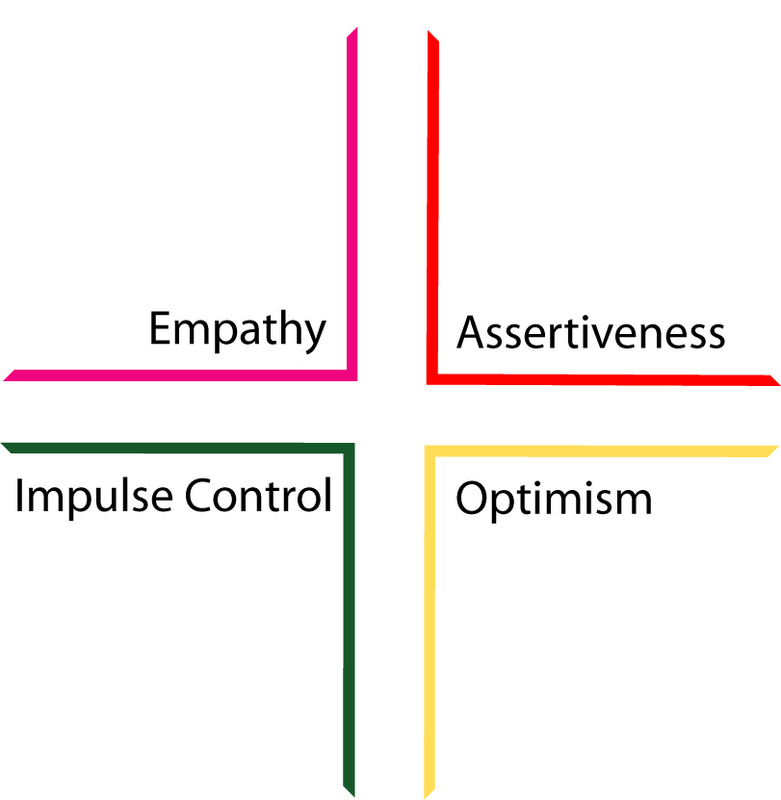 For example, sometimes assertiveness is required to set boundaries for what is acceptable. These are skills that can be learned, sharpened and tailored to specific circumstances. Many of our books and other articles show you how. Demonstration of super respect, with reciprocity, makes the fundamental difference. This introduces new awareness and connectivity. Successful leaders will use their skills to understand the diversity of their workforce and how to approach change and influence their staff and co-workers. Then they will apply emotional intelligence skills to accomplish the desired behavioral change. Successful leaders exhibit skills that may look natural and easy yet are truly the result of paying close attention and being responsive to the whole environment. To do so, they learn to be emotionally literate and employ a complex set of skills in ways that may seem innate though in fact are the result of a willingness to work, learn and improve. Leaders often believe that their cognitive intelligence is the threshold for their success, and they do need solid IQ smarts and a good education to get in the door and to keep up with technical and professional developments. To move beyond that threshold they need to be adept at relationships, influencing and leading staff and teams effectively. The most powerful and sustainable way to build those relationships requires using the four emotional intelligence skills demonstrated in this graph. The artful use of these four skills creates a resilient environment and is well supported by using the EQ-i2.0 with the leaders. We also find considerable value by measuring team skills as well with the Team Emotional and Social Intelligence Survey®. Together these two assessments present a powerful picture that supports developing leadership capabilities. In a real-life case, Carl (his name is changed to protect privacy) became the new CEO at a large hospital and faced big challenges such as leading the medical staff, the administrative staff and various boards to work together. Carl is one smart IQ person and he needs all those smarts! He is leading new change initiatives, changing reporting relationships and strategizing on how to meet financial challenges that have built up over several years. He also needs to build loyalty, solid relationships and a desire among a staff of many different backgrounds from neurosurgeons to administrative staff to work together and build a new future together. Every day he exhibits skills in all four dimensions of this success diagram. – People know he understands how hard they are working and that change can be painful, they feel his compassion and genuine interest in them. – He is assertive, there is no doubt that the changes are to be made. His staff knows that they are expected to perform to the new standards and will be held accountable if they don’t. When actions are unacceptable he makes it clear; however, this isn’t necessary often because he communicates what is needed up front and the requirement of accountability is clear. Impulse Control – His expert use of impulse control is reflected by his measured responses when something goes wrong and his thoughtful engagement on complex matters as he helps all involved recognize that big problems take time to resolve successfully. – He leaves no doubt about his belief that they will be resolved, thus exuding consistent optimism. His staff gains hopefulness and inspiration, they know he cares about them and will hold them accountable. It is a healthy proactive structure that is gradually turning a big ship around since he started six months ago. If Mary was just assertive and didn’t manage her impulses her irritation at the poor quality could cause Nancy to be less resourceful, Nancy is likely to move away emotionally from the project and from Mary rather than moving toward the project and rolling up her sleeves to accomplish even more. The second message incorporates all four skills and is more likely to lead to success. Empathy is demonstrated by understanding the emotions people are communicating and responding to them. This is key to building trust, engagement and passion. Demonstrating empathy can take just a moment, if you see that someone is surprised, worried or perplexed, acknowledge the emotion, connect it with a reason you believe is related and give the person time to correct you if needed and to respond more. “You feel perplexed because these two goals seem contradictory.” Also, be sure to give the person time to speak. Assertiveness is demonstrated by the ability to speak up, to make your points, to say no when called for. Leaders can develop their skills with assertiveness by intentionally saying what is important to them and by practicing saying no by being clear about their priorities. A leader’s staff and teams want to hear from him/her, but the way that the assertiveness is communicated will make all the difference in how it is accepted. Impulse control includes the ability to manage impulses, be patient and to control the desire to be angry. Howard Book writes in his chapter “When Enhanced EI is Associated with Leadership Derailment” (The Handbook for Developing Emotional and Social Intelligence, Hughes, Thompson and Terrell, 2009) that impulse control is a primary skill upon which all other cognitive and emotional skills depend. Leaders with poor impulse control make haphazard and poorly thought out decisions. Rich Handley in his chapter “Advanced EQi Interpretation Techniques” in the edited volume presented his research on the relationship between the fifteen EQ-i skills in which he found the EQ-i skill that supports the most successful use of an identified EQ skill, e.g., for emotional self awareness that supportive skill is impulse control. It turns out that impulse control is the most influential of all the skills. If someone overuses impulse control they may be risk adverse and just play things too safely. Someone low in impulse control at best will irritate others and at worst will burn many bridges. Leaders can develop their impulse control by finding ways to stop and think before they speak. We often suggest a leader use stair therapy – if they are feeling impulsive or even explosive we urge them to go climb a set or more of stairs before they say anything. There is no doubt that getting oxygen to their brain and incorporating physical movement will be helpful. Optimism is the demonstration of hopefulness. When leaders help their teams believe they will find an answer even when the going gets tough, they are building optimism. Plentiful research is demonstrating the power of positive mood. Leaders can build optimism through the way they talk about challenges. Speak of challenges in limited ways, frame the concern so it’s not so global or big that it can’t be handled and say, “we just haven’t found the answer yet. The word “yet” creates a presupposition that the answer will be found! The art of developing successful leadership is created by bringing the right skills together so leaders can experience a resilience that is sustainable even when tested. What Qualities Do You Associate With Emotional Sustainability? Love, the verb! – Stress disconnects us from our higher purpose and we need to recognize that fear harms learning. Be transparent around emotions.